Thursdays at 8/7c on The CW! Annie Wersching plays a hardened survivor in The Last of Us, releasing June 14th on PS3! Annie Wersching appeared on KTLA 5 Morning News to discuss her new show Marvel’s Runaways, premiering exclusively on Hulu this Tuesday. Make sure to check it out! 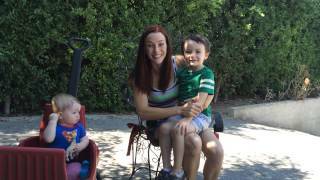 Annie Wersching held a Facebook live chat along with fellow Timeless cast members Claudia Doumit and Malcolm Barrett. With the heretics in town, the bloodshed has just begun. 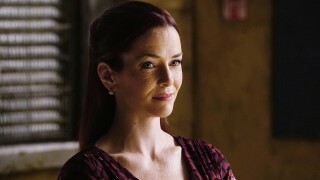 Annie Wersching returns as Lily Salvatore on the season premiere of The Vampire Diaries, Thursday, October 8th at 8/7c! 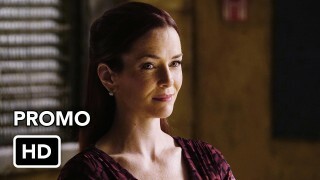 Annie Wersching co-stars with Titus Welliver on the new police drama series ‘Bosch’. They both play LA cops…check out the scene where they meet. Annie Wersching and husband Stephen Full arrive at the premiere screening and red carpet for “Bosch” at The Arclight Cinemas Courtyard in Los Angeles. Annie Wersching returns as Castle and Beckett’s nemesis, Dr. Kelly Nieman in Castle Season 7 Episode 14 “Resurrection” airing February 9th. Check out the promo pics here! 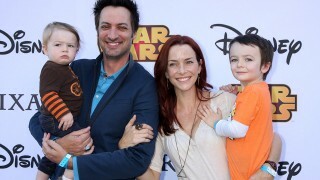 Annie Wersching, Stephen Full, and their children attend the Disney’s VIP Halloween event at Disney Consumer Products Campus on October 1, 2014 in Glendale, California. Actress Annie Wersching attends the Amazon red carpet premiere screening for brand-new dark comedy, ‘Transparent,’ The Theatre at Ace Hotel on September 15, 2014 in Los Angeles, California. Annie Wersching arrived at the 2014 Creative Arts Emmy Awards held at Nokia Theater L.A. LIVE in Los Angeles, California.